An allergy is an exaggerated response of the immune system against harmless substances which are called allergens. Allergies are quite common in Europe as more than 150 million Europeans suffer from this chronic disease. Studies even predict that by 2025, 50% of Europe’s population will be affected. The UK has some of the highest rates with more than 20% of the population suffering from allergies and most of them suffering from more than one allergy. The fundamental causes of allergic diseases are complex, and the development of an allergy involves both environmental and genetic factors. Interestingly, there have been a few genes identified that can play a role in an allergy, although the precise mechanism is unclear. Allergies can develop in adults but are more common in children. Some can disappear at an older age whilst some allergies can just suddenly develop. Allergens can be found in foods such as nuts, fish, shellfish, eggs and milk. They can also be found in the air such as pollen, particularly in the spring and summer season, and this is also known as hay fever. Some allergens can be hidden in animals, house dust mites, house cleaning products, fungus, hair dye or medication. Individuals with allergies also have an increased chance of developing asthma or eczema. Allergic reactions occur when the body comes into contact with the allergen. At first contact, the body starts to make antibodies called IgE antibodies. The second time when the body comes in contact with the same allergen, these antibodies bind to the allergen and provoke the release of chemicals such as histamine and leukotrienes. These chemicals cause a local inflammation resulting in the damage of local tissues, which leads to immediate symptoms. These symptoms can occur quickly after exposure to the allergen in different organs such as the nose (runny nose, sneezing), skin (irritation, itching, swelling), eyes (redness, swelling, itching) and lungs (coughing, shortness of breath). Sometimes a serious medical condition known as anaphylaxis can occur. This is a generalised allergic reaction of the body with breathing problems, swelling of the tongue, low blood pressure, increased heart rate and, if untreated, it can lead to a cardiac arrest and can be fatal. These symptoms usually begin within minutes and are life threatening. An immediate injection with an adrenaline (epinephrine) is essential. In children, the common cause of anaphylaxis is due to nuts, whilst in adults it is usually from consuming fish in food. Allergies can be diagnosed by different tests including a skin prick test. This is where the skin is scratched with a probe containing different allergens. It can be done on the forearm or on the back and is not painful. When an irritation at the site of the prick occurs, it means that the body reacts to that specific allergen. Prior to the skin prick test, antihistamines should be stopped to exclude false negatives. A blood test (RAST test) can also be performed for checking IgE antibodies level in the blood, however this is less sensitive than the skin prick testing. The treatment of allergies fundamentally lies in avoiding the allergen and avoiding allergy symptoms that can affect the normal activities. This could mean removing pets and avoiding food that cause symptoms. 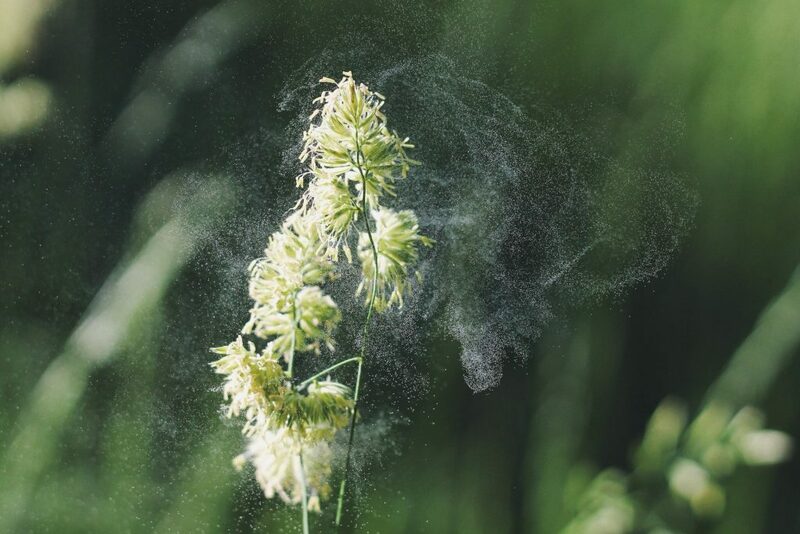 In the pollen season, it is advised to keep windows shut and avoid grassy spaces. People who have an allergy from house dust mites should ventilate their house regularly. There are covers available for mattresses and duvets which are mite-proof. Regular washing of the bed clothes (60°C) and removing carpets in the bedroom can also reduce symptoms. Patients who have a history of anaphylaxis should always carry an adrenaline auto injector pen. Individuals who have had a severe allergic reaction to medication (for example antibiotics), should always carry an allergy card in their wallet so health professionals are aware. In some situations, the exposure to the allergen cannot be avoided and medication may be required to relieve symptoms. The most common medications used for allergies are antihistamines. These prevent the release of the chemicals induced in an allergic response and thus minimise the symptoms. Antihistamines can be divided into two groups: the older (promethazine, hydroxyzine) and the new (cetirizine, loratadine, ebastine) antihistamines. The recent or the new antihistamines are less sedative and are mostly the preferred choice. These antihistamines are available in many forms such as tablets, creams, eye drops, syrups for children and nasal sprays, and are available in the stores without prescriptions. When antihistamines are ineffective, steroids can be prescribed by the doctor for temporary use. If severe reactions occur to a specific allergen, it is advised to have a desensitisation procedure in an allergy clinic. In this procedure, the body is exposed to small amounts of the allergen through injections and each time the dose of the allergen is increased. By building up the dose of the allergen gradually, the body builds up protective antibodies, which can result in reduced symptoms of allergy. The overall effect of this therapy is seen in the first year of treatment.